Root Canal Treatment cost in London: now a bargain price! What is a fair Root Canal Treatment price? If Root Canal Treatment is not performed the tooth will likely be extracted sooner or later and its replacement with a bridge or an implant crown will involve a very high cost. Unfortunately a lot of teeth, even if Root Canal Treatment is competitively priced compared to alternative procedures, are still taken out for financial reasons. This is because the service of a specialist Endodontist, who has invested in a lenghty clinical training, and operates generally in a private practice environment, is still out of reach for a great number of ordinary people. And in London it becomes even worse due to the outrageous cost of running a dental practice. 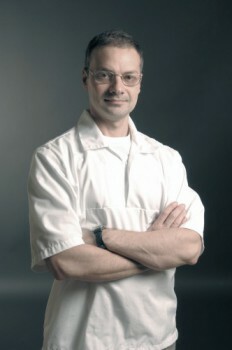 I am a general dentist with twenty years of experience between Italy and UK and I started my career doing root canals. This is because dentists hate RCTs almost as much as patients, and when you start working you usually get what the other colleagues discard. Over the course of the years I developed an interest in this field of dentistry, I attended the best international courses and enjoyed collecting the endless series of high-tech tools that are associated with this rapidly changing discipline. Wherever I worked I ended up doing RCTs for the whole dental practice and I cumulated an experience of one hundred RCTs per year as an average. After practising in London for more than ten years I feel confident I can offer a significant help at reducing Root Canal Treatment cost, without compromising on the quality, for the majority of the clinical needs. If you are a patient who received a treatment estimate you are not comfortable with, or a dentist whose patient base is not willing to pay the cost of a specialist fee, feel free to send me an email with your XRs, or simply book a 15 mins Free Root Canal Consultation with Dr Alfonso Frontera at one of the two practices where I work, where I have a microscope at my service. I will be able to give you a honest advice to decide if the tooth is worthy the effort and a precise quotation according to the complexity of the case. Below you will find a sample list of my fees according to tooth anatomy, to be confirmed when you establish a contact and after your initial consultation.